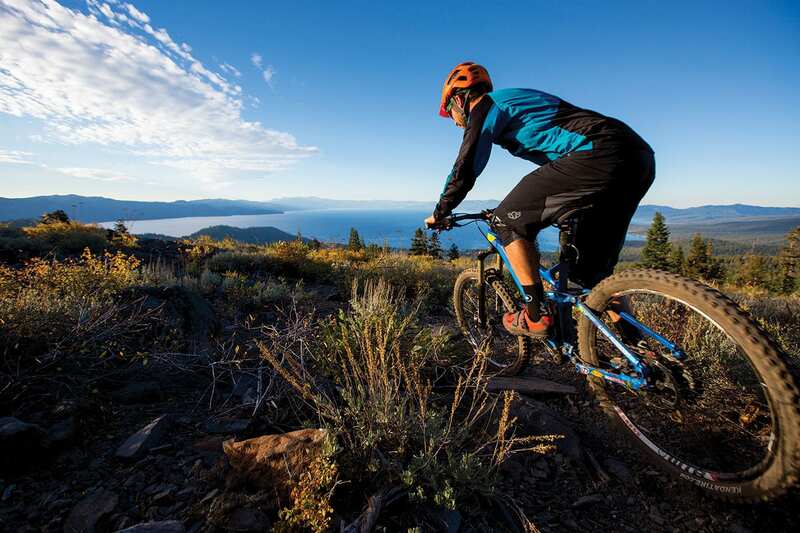 Shoulder season in Tahoe is the valley between two mountains, the lull between summer adventures and winter thrills. During this stretch—generally from mid-September to mid-December—residents and the area’s rare visitors enjoy the bounty of the low season. Few tourists, no traffic—just peace, quiet and the beauty of Lake Tahoe as the community returns to its roots of slow mountain living. 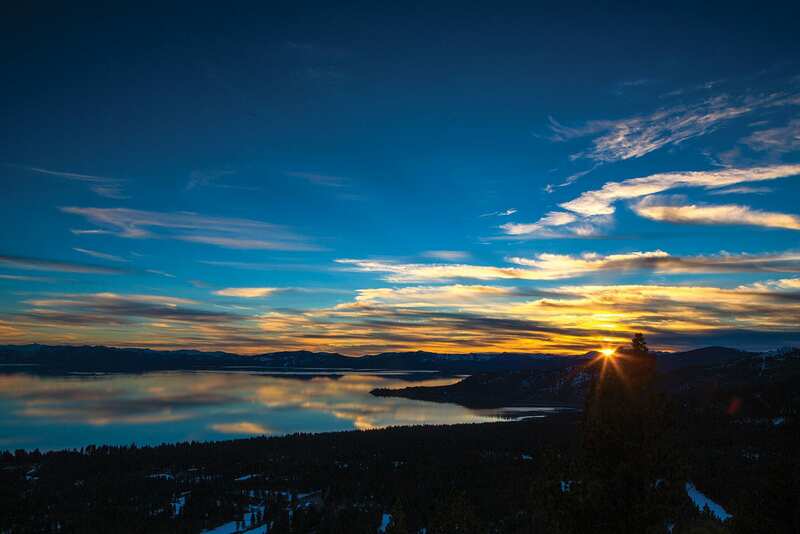 “Obviously, the tourists keep this place rolling economically, but most people live here for that shoulder season where it’s chill,” says Tahoe City resident Scott Gaffney, a professional ski cinematographer and general outdoor enthusiast. This period between high seasons is cherished by Tahoe locals, who take to the outdoors with bikes, surfboards and crash pads in tow. Often with less restrictive seasonal work schedules, they’re able to pursue the true reason they moved to Tahoe in the first place: to play. Biking and climbing, in particular, benefit from the cool, crisp temperatures that fall brings. “In October, the trails have already been ridden hard. I am looking for a bit of precipitation. A bit of rain and cooler temps makes it perfect,” says Jon Rockwood, an avid mountain biker, skier and videographer from Truckee. Damp trails are a fall luxury, Rockwood says. While Tahoe occasionally receives summer rain, the moisture is almost immediately sucked out of the dirt due to the hot temperatures and high sun angle. Another benefit to mountain biking in the shoulder season is the colorful scenery of the trails, where quaking aspens and other deciduous trees are ablaze with fall colors. Marlette Lake, a picturesque natural lake along the Flume Trail, high above the East Shore, is among the best locations around Tahoe to view the golds and reds of aspen groves. 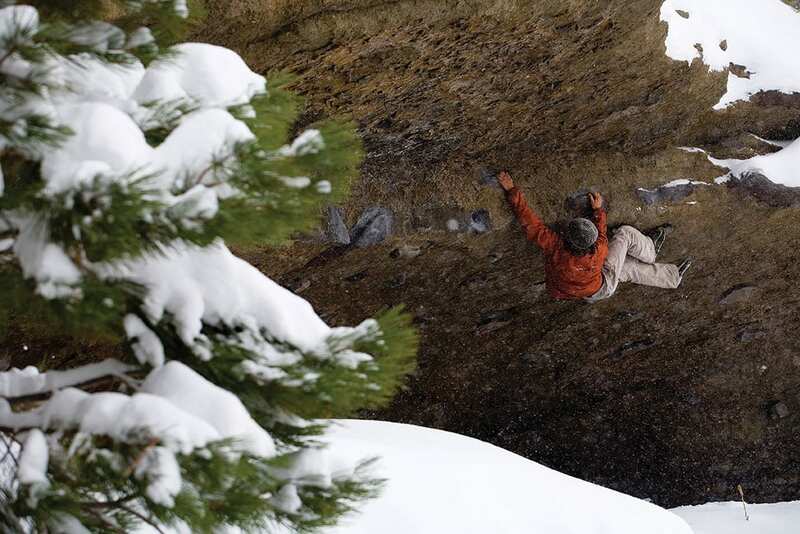 While summer days are often too hot for climbing, and winter is too cold, Tahoe’s rock climbing and bouldering scenes thrive in the shoulder season. Though October is generally one of the best months for climbing, the weather can make or break it. Once the rain starts falling, climbing days are often postponed. 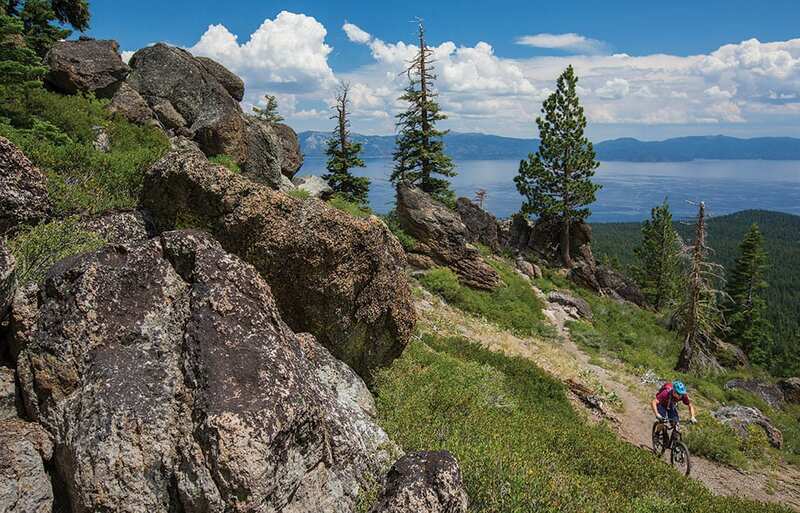 Even after a major rain event, however, there’s usually somewhere to climb in the greater Tahoe area. “I’d just go to spots like D.L. Bliss [State Park] or Donner [Summit] that get more sun and have sandier ground. I’d avoid the damp, shady, foresty spots,” Hatchett says. As the shoulder season moves from the warmer days of September and October into the dreary days of November, Tahoe’s adventurous minds start to wander toward the approaching ski season. For Gaffney, that’s when Tahoe’s surf season ramps up. Gaffney is constantly watching the weather in hopes for the right storm cycle. When windstorms do hit, the surf can be temperamental. Tahoe waves differ from ocean waves in that they are “pretty much always messy,” Gaffney says. This is because the energy on The Lake ebbs from wave to wave, kind of like a boat wake. “So a wave will peak in front of you, but if the timing isn’t right for the wave to feel the bottom and break, the energy will dissipate and rebuild in the wave behind that one. So a lot of times when you see your wave rolling in, that’s not actually the wave you want. It’s the wave behind,” says Gaffney. Due to the Tahoe Basin’s topography, favorable wind cycles move in from the southwest and blow across The Lake, says Reno meteorologist Shane Snyder. This explains why surfers generally frequent the north and northeast shores. While surfers enjoy Tahoe’s turbulent times, the weather is more often sunny and mild during shoulder season. This creates ideal conditions for paddlers, who take advantage of the calm after the summer crowds have dissipated. 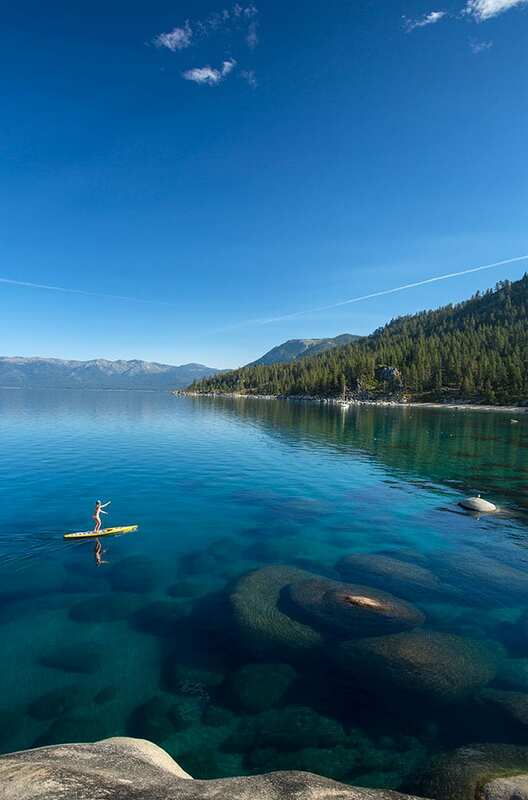 “The best aspect of fall on The Lake are the amazingly glassy conditions all day long,” says Chris Brackett, owner of South Tahoe Standup Paddle. Although Tahoe locals often say they came for the winter and stayed because of the summer, an increasing number of residents are finding that the fall shoulder season is a prime time for outdoor recreation. Sometimes, the slow and low is the true high.